MANASSAS, Va. – As you arrive at the newest data center in Northern Virginia, it’s hard to miss the name of the facility operator. Iron Mountain’s name is emblazoned on the front of the building, a change from many data centers that bear no exterior identification. Iron Mountain sees the value in leading with its brand. Iron Mountain is ready to make its presence felt in the data center business. After several years of building its operations and proving out its business assumptions, the company is ramping up its investment in data centers. Iron Mountain envisions several paths to growth, including new construction as well as acquiring other service providers and existing facilities, including underused enterprise data centers. On the new construction front, the company opened the doors Friday on the $80 million first phase of its data center campus in Manassas, Virginia. 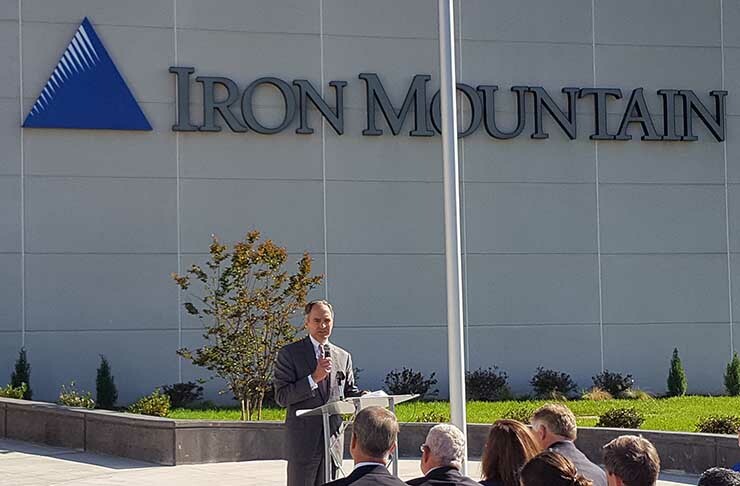 The VA-1 data center is a down payment on a larger commitment to the Northern Virginia market, where Iron Mountain plans to build four facilities totaling $350 million in investment. Iron Mountain is an example of an experienced company that sees opportunity in the data center industry. Iron Mountain has spent 60 years building a reputation as the leading provider of document storage, with more than 230,000 customers around the globe. It believes it can leverage the power of its brand to win data center business, particularly with customers in the government, healthcare and financial sectors that already partner with Iron Mountain to meet regulatory compliance requirements. Iron Mountain is opening its Manassas facility with half of the first phase pre-leased. 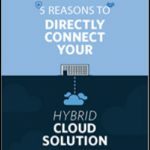 One of the customers is Virtustream, an enterprise cloud provider owned by Dell Technologies that focuses on cloud migrations. Last week Iron Mountain also launched its Iron Cloud, a cloud storage offering optimized for enterprise “big data” requirements. VA-1 is a 165,000 square foot, 10.5 megawatt data center. With 83 acres of land, Iron Mountain has enough property to build three more data centers like it. The abundant land enables Iron Mountain to design its campus as a high-security data center, with generous setbacks and access control that can meet the stringent requirements of federal agencies. Iron Mountain offers multiple layers of security, starting with a fence and manned guard booth at the entrance to the campus. Iron Mountain has extensive experience working with data center customers on compliance with standards including HIPAA, FISMA, ISO 27001, PCI-DSS 3.1 and SOC 2 Type II. “This data center, like our others, is especially suited for heavily-regulated enterprises, cloud providers and government agencies who seek a highly secure, highly compliant environment for hosting their data center operations,” said Meaney. 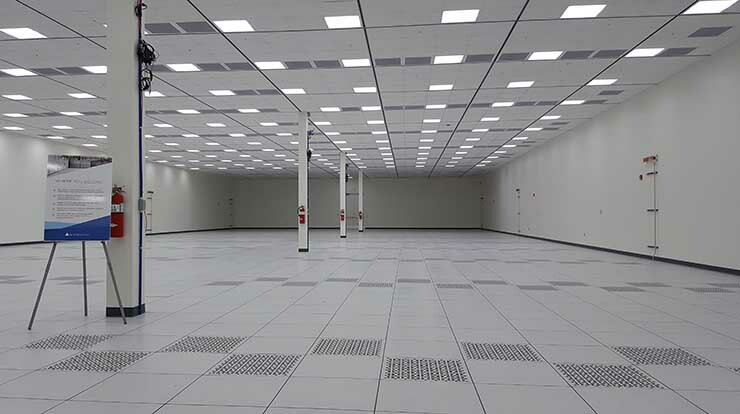 The initial buildout features two data halls, which are each 11,000 square feet and support 1.5 megawatts of capacity each. Iron Mountain said Friday that it is commencing the second phase of construction at Manassas, which includes two more data halls, with a third phase to follow. Once the building is filled, Iron Mountain can add buildings to expand capacity, with 60 megawatts of electricity available to the campus. Power is available from NOVEC at about 5.5 cents per kilowatt hours, the company said. The power and cooling infrastructure is housed in separate equipment rooms, allowing the entire data hall to be used for customer IT equipment. The VA-1 facility received Tier III certification from the Uptime Institute for both its design and construction. Iron Mountain was founded by Henry Knaust, a mushroom farmer who had acquired an underground iron ore mine to expand his operations. When the mushroom market struggled, he refocused his business, converting part of the mine into “vaults” to store documents and microfilm. The company steadily grew into the market leader for secure storage of documents and magnetic tape storage for disaster recovery. In 1998 the company acquired the National Underground, which operated a 130-acre storage facility in a 200-foot-deep limestone mine under Boyers, Pa.
Iron Mountain has carefully tracked the financial progress of its data center business, and Meaney likes what he sees, especially the 25 percent organic growth rate. “We think that as the speed of outsourcing grows, customers want more confidence in their data center provider,” said Meaney. “This is part of our DNA. It is natural to us, and it is an important part of what customers want. Iron Mountain has a history of growing through acquisition, and that will be the case for its data center business as well. In July, Iron Mountain acquired FORTRUST for $128 million, adding 9 megawatts of capacity in Denver. FORTRUST’s historic focus on high reliability and security aligns with Iron Mountain’s heritage in information storage and data retention. Meaney says that building data center campuses like the one in Manassas offer the best return on investment, offering economics of scale and highly-efficient infrastructure for customers. But he said Iron Mountain will also focus on acquisition opportunities, which enable the company to scale more quickly and enter new markets, including key global finance hubs. “There’s definitely a vendor consolidation beginning to take place,” said Mark Kidd, senior vice president and general manager, Iron Mountain Data Centers. Iron Mountain is taking a close look at the potential to grow through sale/leaseback transactions, which provide a combination of recurring revenue from an anchor tenant (the former owner) and upside from leasing vacant space. Government facilities and financial services data centers are among the possible growth areas for sale/leaseback deals, and the company’s search will include international sites. Iron Mountain is entering the fastest-growing data center market in the world. Northern Virginia is also the most competitive market, and much of the development focus has been in Loudoun County, and particularly Ashburn. 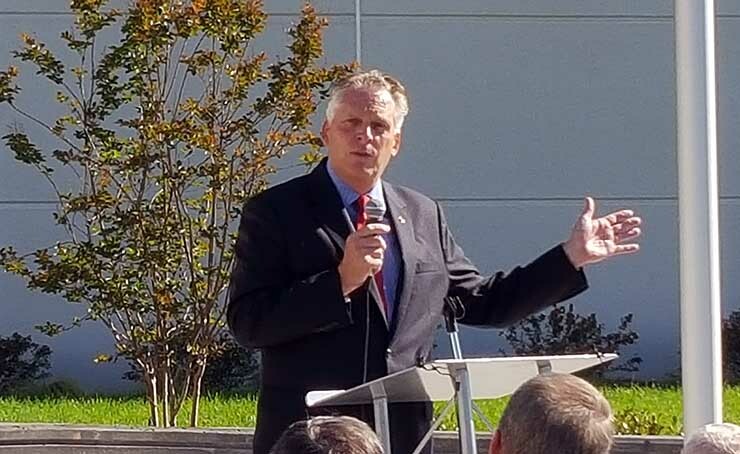 “Since 2006, more than 6,600 new jobs and over $11.8 billion in investments have been announced in Virginia’s data center industry and we are thrilled to add this important project to that roster,” said Gov. McAuliffe. “I love data centers,” McAuliffe added. According to Iron Mountain, there will soon be more data centers to love, all bearing its distinctive brand and logo.